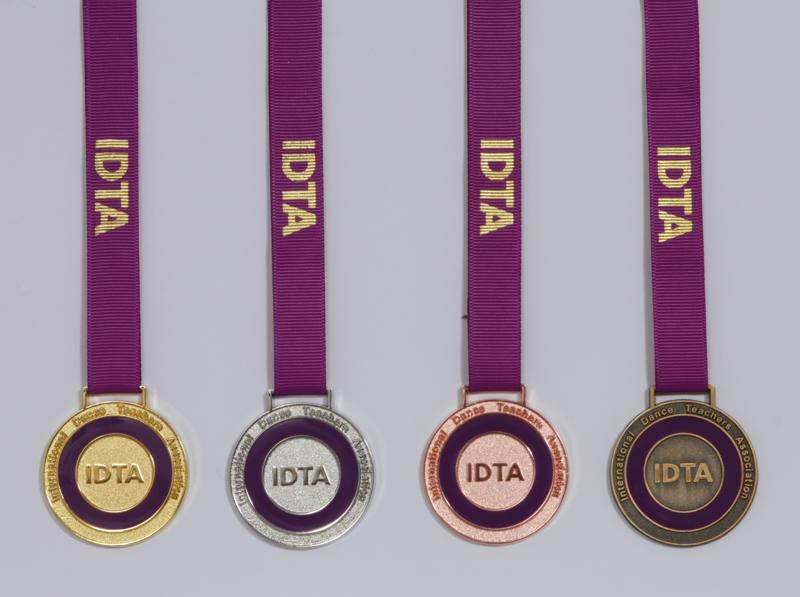 Here you will find a list and photos of all of the awards that the IDTA presents. 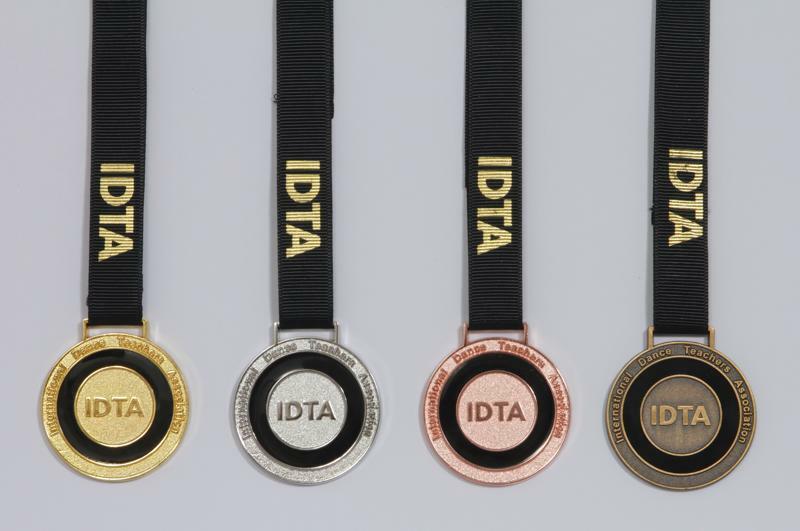 A major revision of the IDTA’s medals and awards was undertaken in 2017. 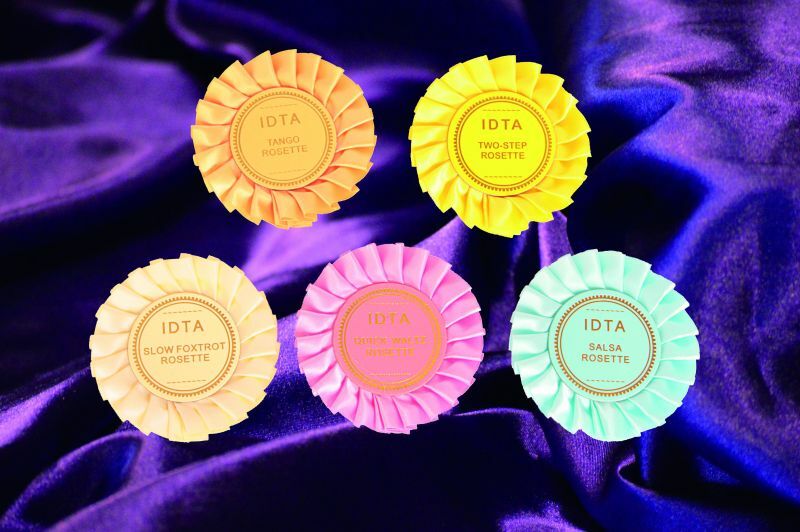 The new awards were launched in Spring 2018 and offer continuity of design across our range. 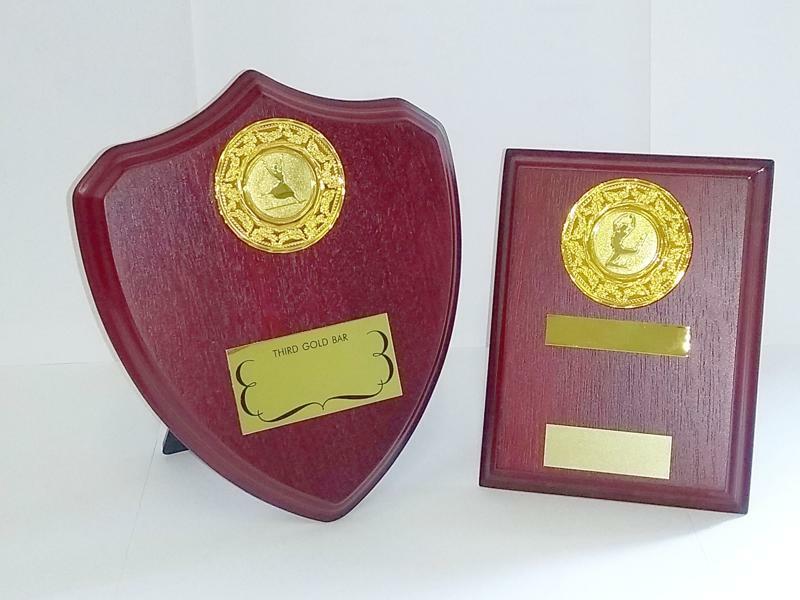 The 1st Gold Bar will receive a mahogany coloured plaque with engraved name plate and gold bar; for the 2nd Gold Bar the candidate will be sent a gold bar to add to the plaque and for the 3rd Gold bar the appropriate statute or shield, depending on genre, will remain unchanged. 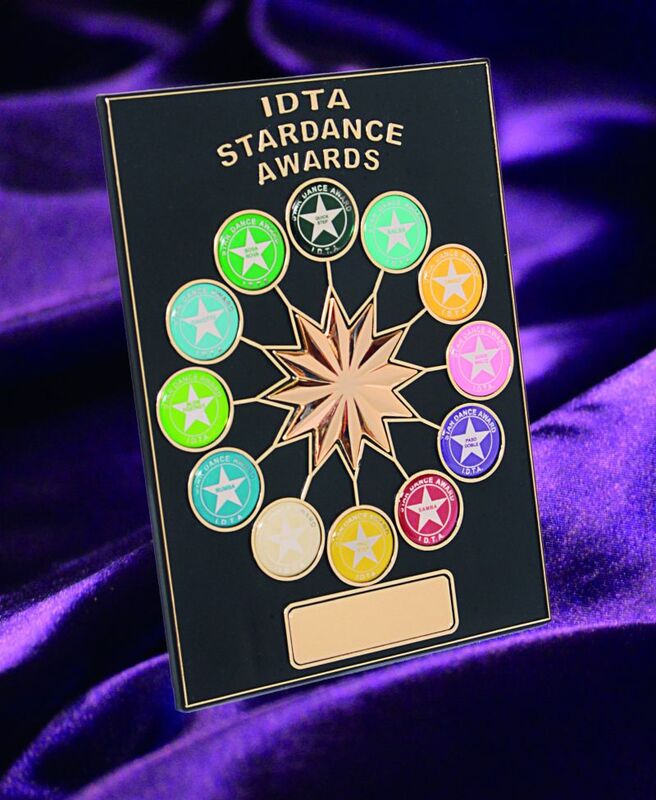 Star Awards will remain the same, receiving a mahogany coloured shield and stars, with a new Star 5 plaque to compete awards. 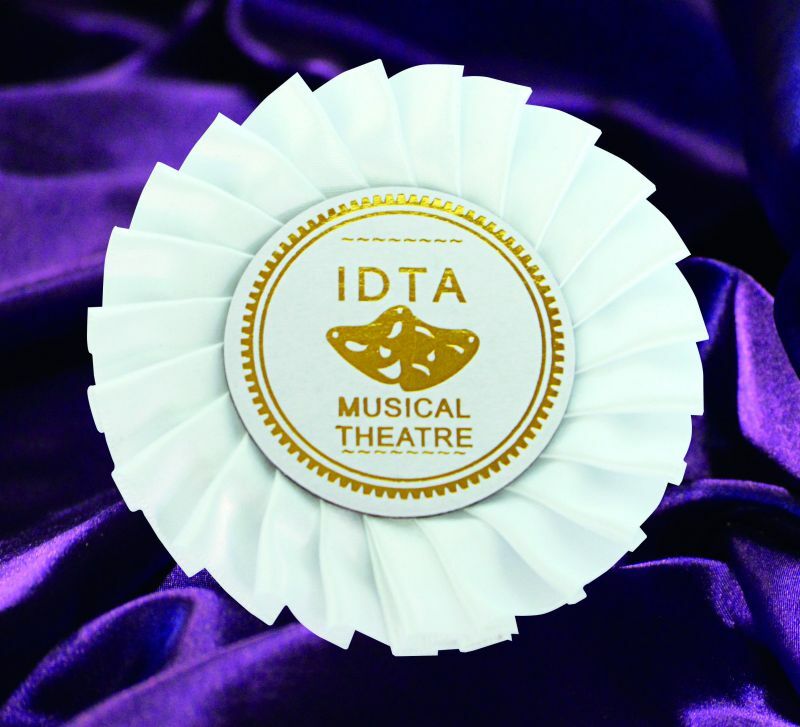 The One Dance plastic plaque will be replaced by a mahogany styled plaque with name plate and decal. 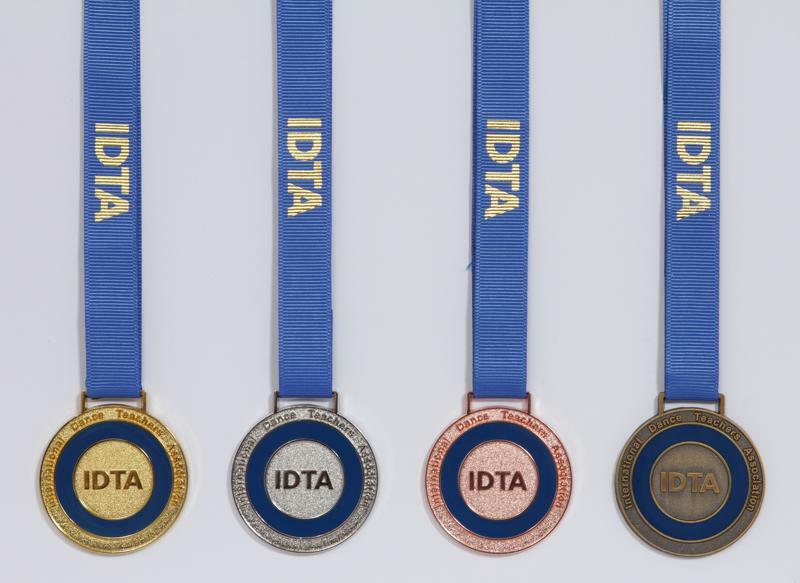 The Medal Tests will be renamed Bronze, Silver and Gold Awards and the current Olympic style medal with ribbon will be replaced by a mahogany styled plaque with an engraved name plate and space for new metal medals. 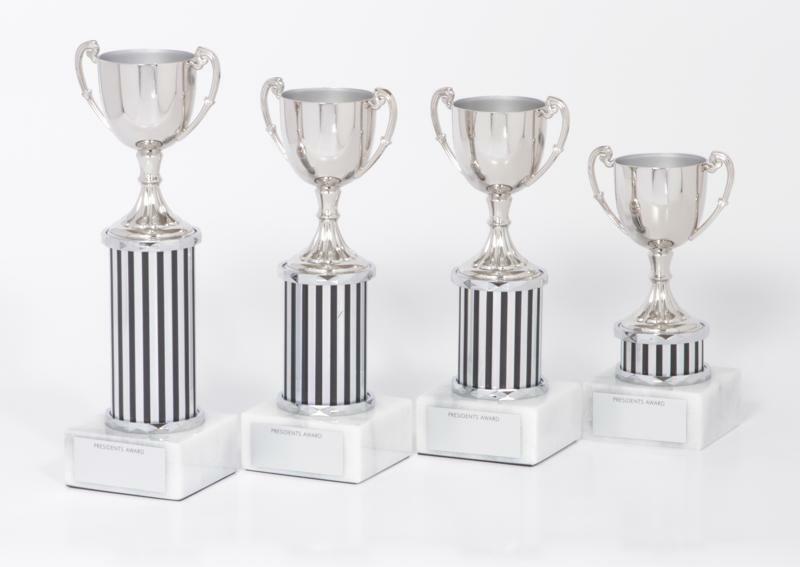 New style silver cups will be introduced for the President’s Awards. 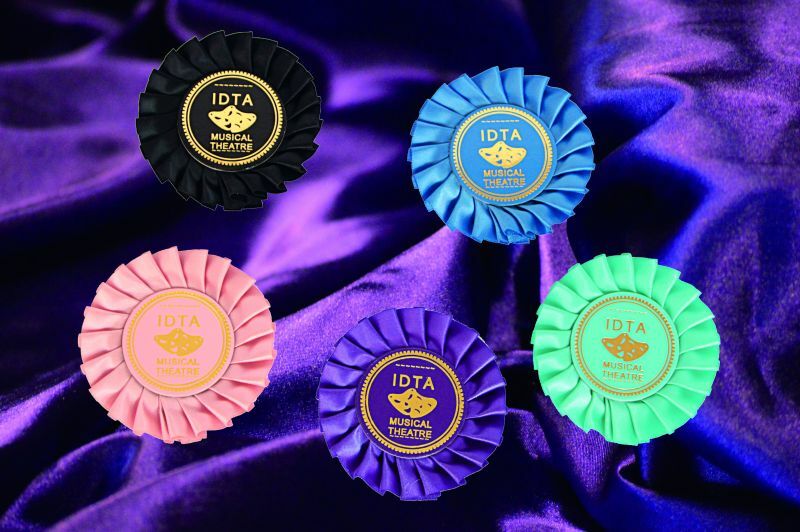 New style gold cups will be introduced for the International Award. 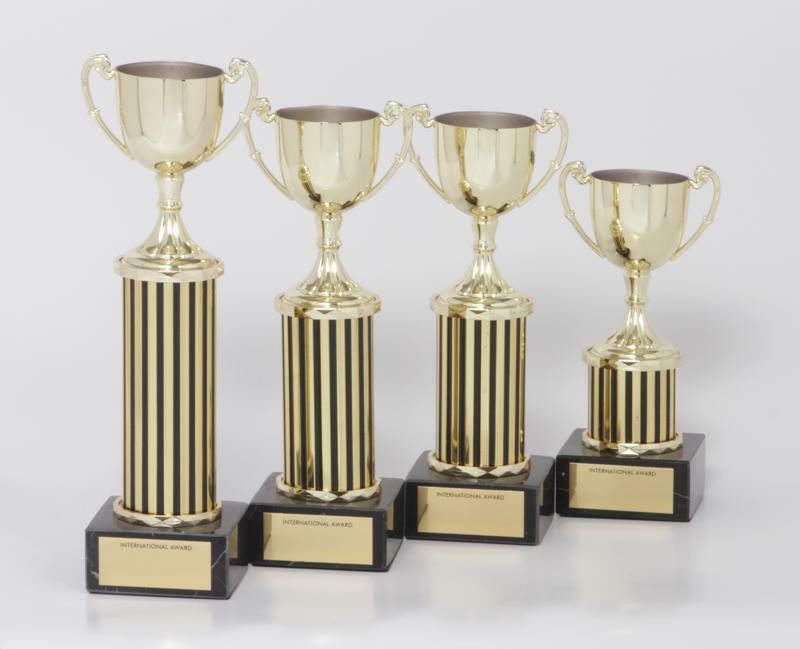 Social Dance Awards for Juniors will be renamed Junior Dance Award and the candidates will receive a certificate and a new style award. 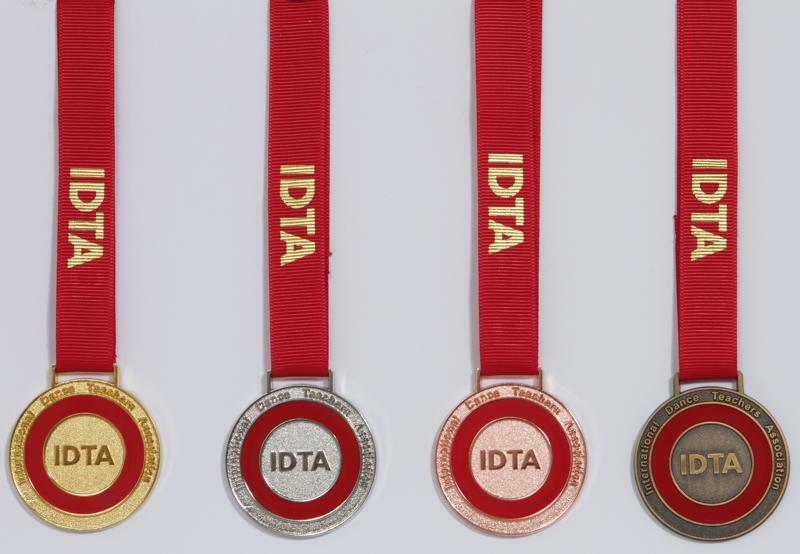 The four different coloured plastic plaques in four sizes, are being replaced by a metal medal on a ribbon. 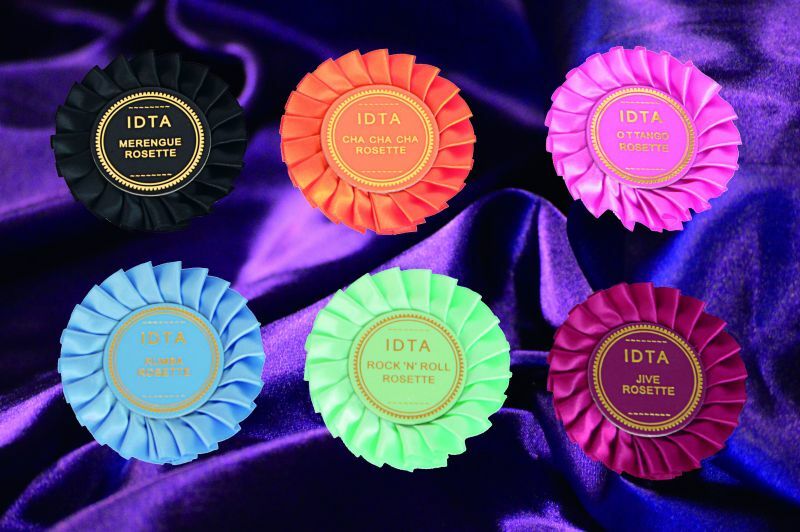 Blue, Red, Black and Purple ribbons and enamelling on the medals, offered in four finishes, bronze, silver, gold and old gold. 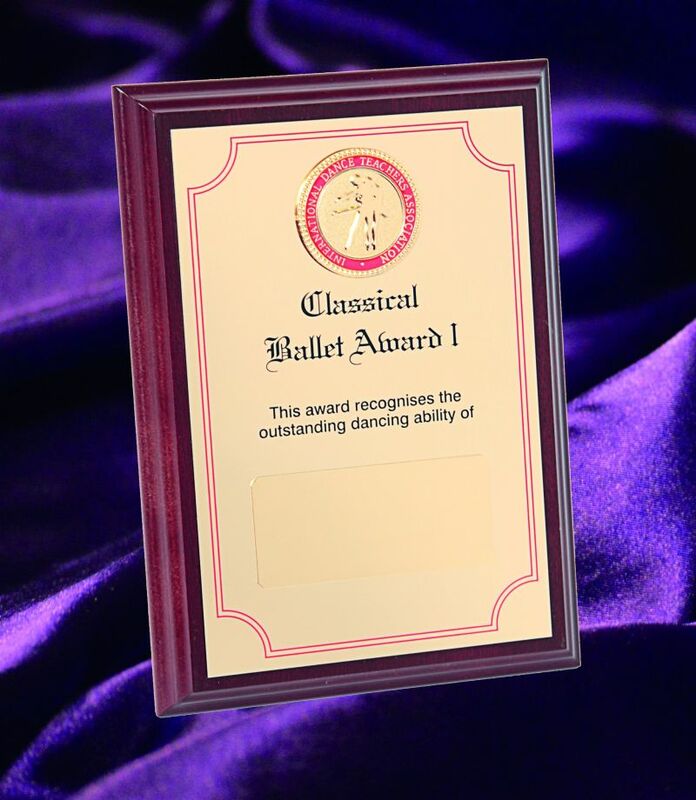 Single Dance will receive a mahogany coloured plaque with engraved name plate and space for an appropriate medal with decal. 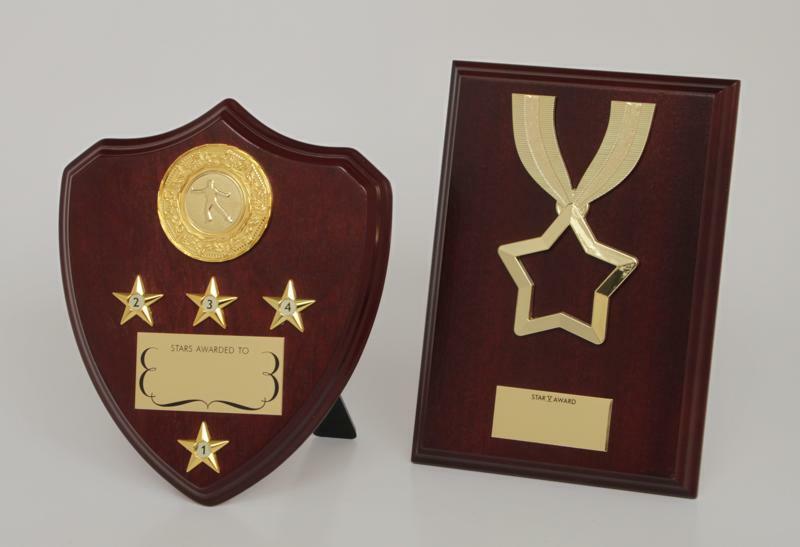 The plastic plaque for grades will be replaced by mahogany coloured plaques, increasing in size as the grades progress, all with an engraved name plate and decal. 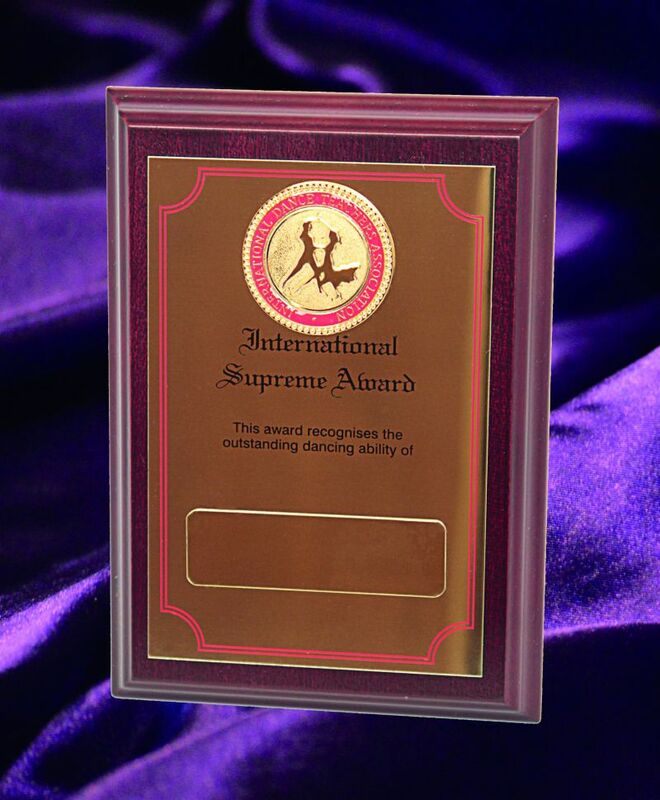 Will be certificate only in a presentation folder.